One for me old China! From this point onwards it would appear the celebration has grown from year to year, organised by the Chinese organisation, and with it becoming an all inclusive event. 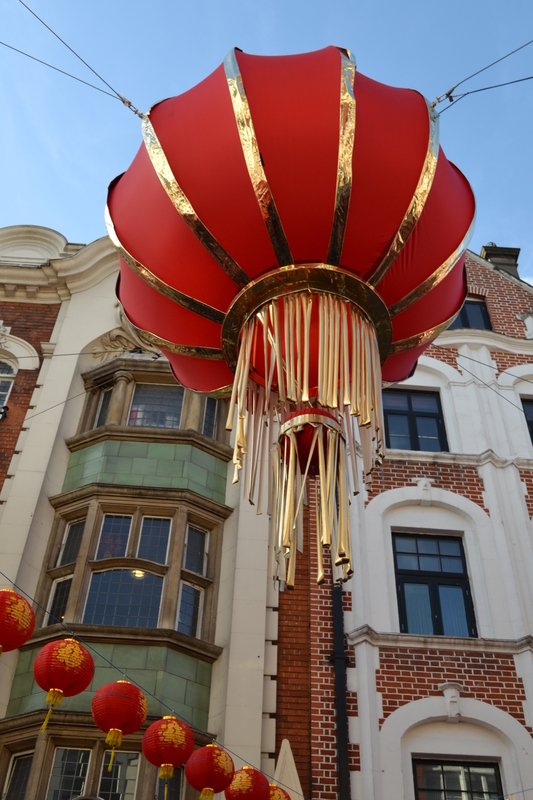 Helped by the formal recognition of Chinatown with red and gold bollards and other familiar motifs, London’s Chinese New Year is perhaps the best outside China. When I recently went the streets were thronged with all creeds and races, many tourists happily snapping away who had come especially to see the event – now the largest outside China. 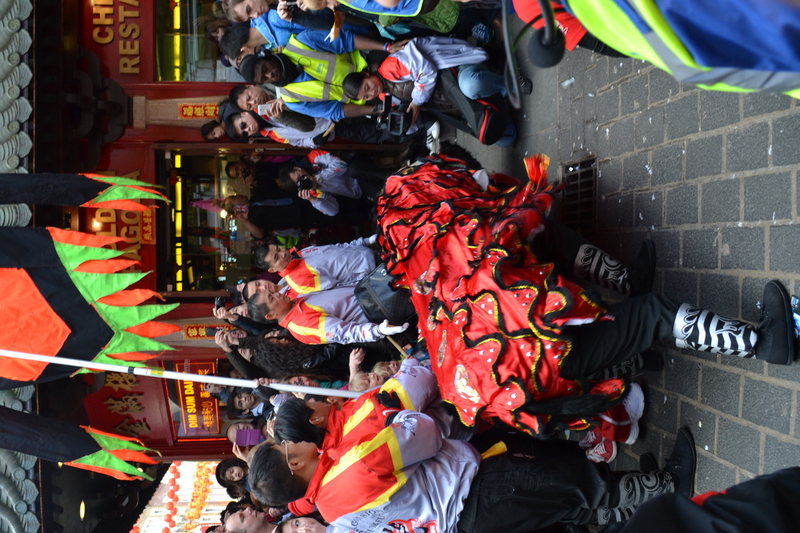 For although the streets of Chinatown that the celebration erupts with vibrancy and vigour, it has spread beyond into Trafalgar Square. The first thing that greets you other than the numbers is the how one goes from the bland streets surrounding one enters a lively scene and a bizarre one-way system to control the crowds. The typical high London premises are brought alive with banners, bunting and giant lanterns. Stalls line the streets selling food, Chinese gifts and even a stall called Labour for Chinese…surely being communists they all left wing? The sound is incredible. Every now and then small children can be seen secretly making older residents jump by throwing fire crackers on the ground with great enthusiasm. But it is the sound of the drums and symbols excitedly rattling its Lion which danced up and down entering local restaurants to bring good luck..attempting to eat pieces of cabbages, the green providing good luck, on the way and hoping to impress the audience, if the crowds give it room by its acrobatic action. Watching this splendid beast one can be reminded of other native house visiting customs and how similarities can be drawn.